The discoverer of the island is Christopher Columbus. When he visited these lands in 1494, they were populated by the Indian tribes. 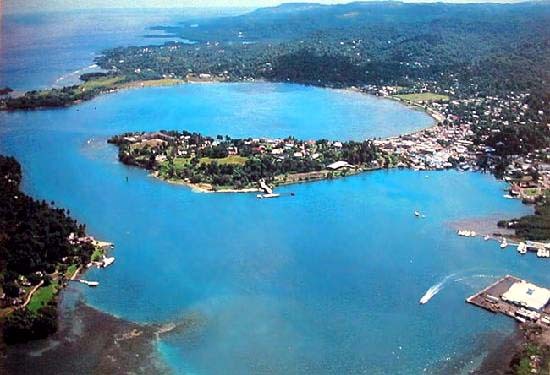 The first settlement on the island was formed by the Spanish colonizers in 1509. A hundred years later, there were almost no aborigines on the island. In 1655, the island was conquered by Britons. Exactly they formed the town of Port Royal in the first years of the colonization. In the early years of its existence, the town had a status of “the most sinful city of the Christian world” and a capital of sea robbers. At the end of the 17th century, about 8 000 people resided in the town and almost a quarter of them were pirates. They brought all the treasures they had robbed to the town, so Port Royal flourished in the first years of its existence. For English colonizers, Jamaica became the largest “sugar” colony. The slaves transferred from African countries worked on their plantations. The foundation of the industry on the island is the production of sugar and famous Jamaica rum that is still one of the national symbols of the country. In the 18th-19th centuries, the development of the colonial country was restrained by constant uprisings of slaves. The first settlements of running slaves were formed on the island at the end of the 17th century. When slavery was abolished in 1833, English plantations experienced some difficulties: it was impossible to produce sugar and rum. 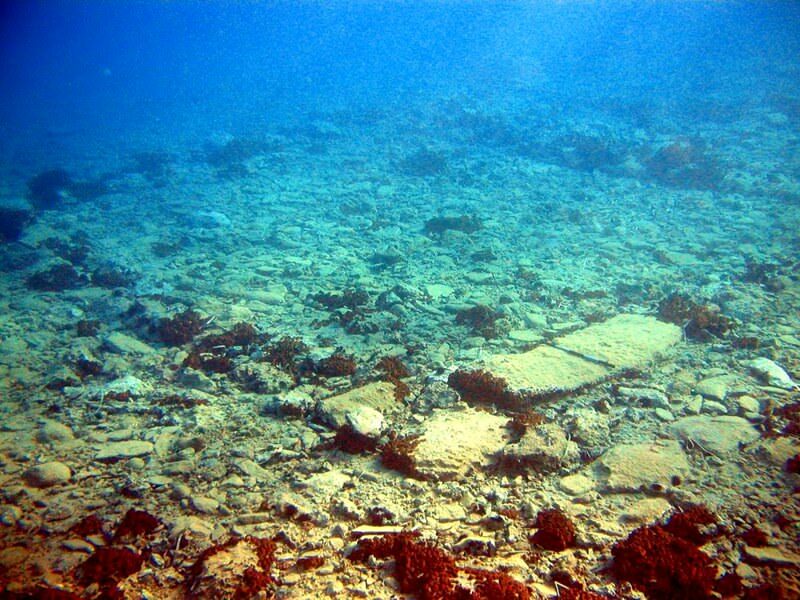 At the end of the 19th century, the island attracted an attention of the USA. The States started to invest in the development of coconut and coffee plantations. Jamaica gained a right of the partial self-government in 1944 and independent from Great Britain in 1962. The modern country is notable for its eventful cultural life. During the year, decades of festivals and holidays are celebrated here. For fans of reggae, the most significant event is a festival called SunSplash. The fiery Summer Fest is annually held in Montego Bay. Its main guests are fans of music and round-the-clock entertainments. The special holiday on the island is Christmas. The main event of this holiday is a parade in masquerade suits. A lot of Christmas entertainment events are held in the open air and welcome visitors. 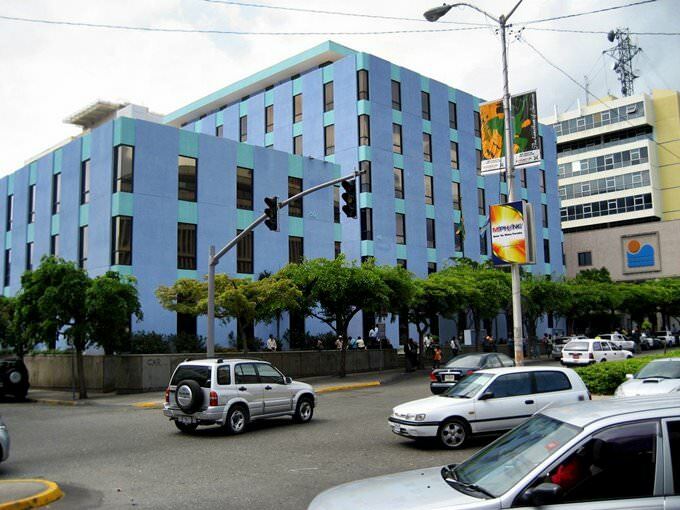 This article about iconic landmarks and sights of Jamaica is protected by the copyright law. You can re-use the content, but only under the condition of placement of an active link to www.orangesmile.com. We can divide people into two categories: those, who like snowy landscapes and those, who like the whisper of the ocean and palm's leaves. 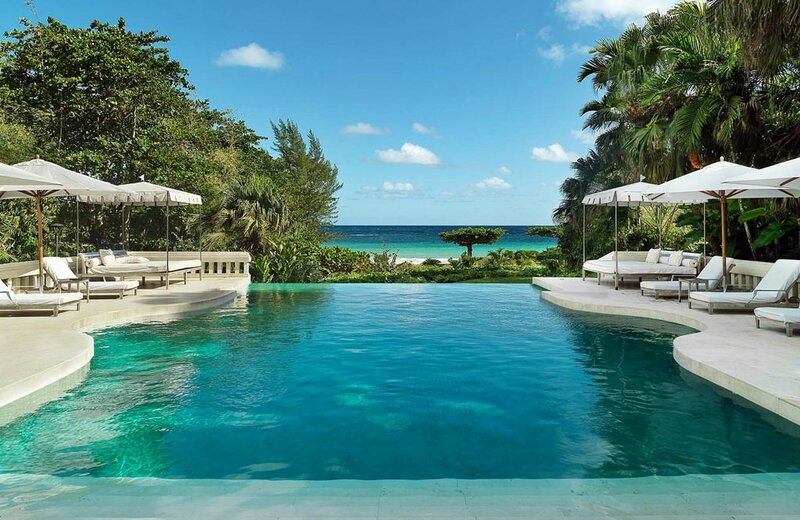 The second has to spend their vacation on wonderful Jamaica island. 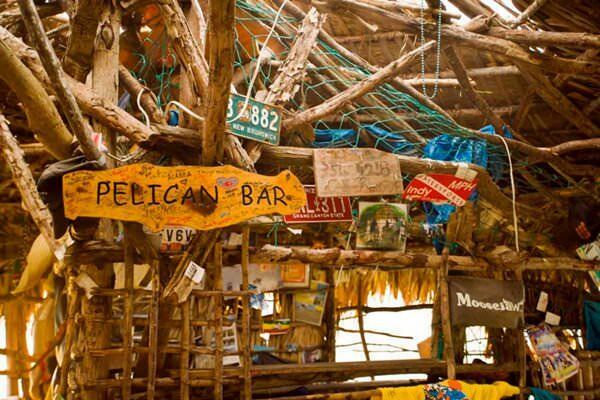 Negril as a resort has been meeting visitors in the outstanding bar "Floyds Pelican Bar". It looks like a shabby cabin and was built on wooden piles over the water. The bars' roof is made from the palm leaves. In Jamaica, there is a wide selection of short and interesting sights. In search of new impressions, some tourists enter the surroundings of the city of Ocho-Rios. 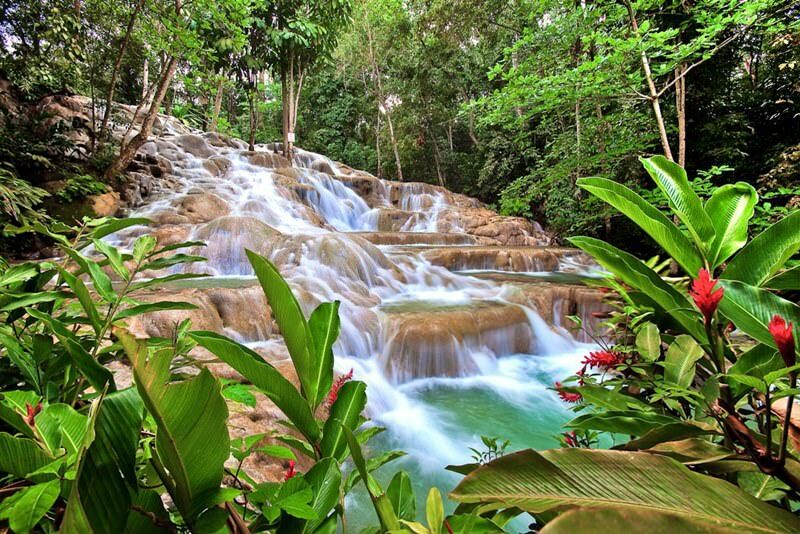 Here is the little-known and mentioned in a few tour guides - the Park Dunn's River Falls and Park, on whose territory flows the river Dunn. The river is characterized by the unique waterfalls whose height is 180 meters. The waterfall falls into the Caribbean Sea, which makes it even more unique. 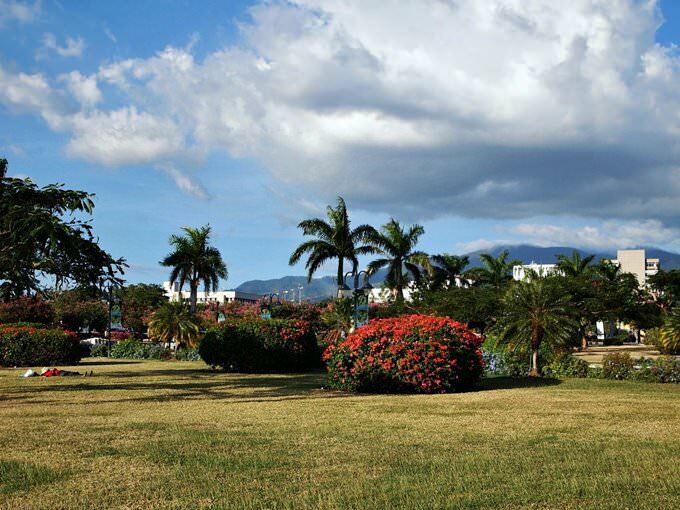 The legendary port city, Port Royal, has being remaining an important symbol of Jamaica for nearly five hundred years. The legendary city of pirates was founded in 1518; it was reasonably considered the most hopeless city on earth. For many years, corruption and violence have being dominating there. Pirate ships have being arriving there from all over the world, even from Madagascar. In 1692, the island has suffered from an earthquake, and the pirate town completely went under water. Today its ruins lie on the bottom of the Kingston harbor.